Allow you to form a lasting bond with your customers. Provide more value to your customers to help improve customer retention. Build a stronger brand for your company. Mobile apps are a vital component of your overall online strategy for business. We have worked with small-to-medium sized businesses to develop apps that form a crucial part of their online presence, helping customers to experience outstanding results in terms of both sales and engagement. At Rorko, we offer a complete package that can develop a new app from scratch or improve an existing app to help benefit your business’ future. By utilising outstanding design and intuitive UIs, our apps can improve customer perception of your business and ultimately help to drive sales. Targeted ad campaigns to ensure you reach the customers you are targeting. A professionally-produced app that enhances the reputation of your business. Ease of development that means you can focus on other areas of your business, safe in the knowledge your app will be the best of the best. 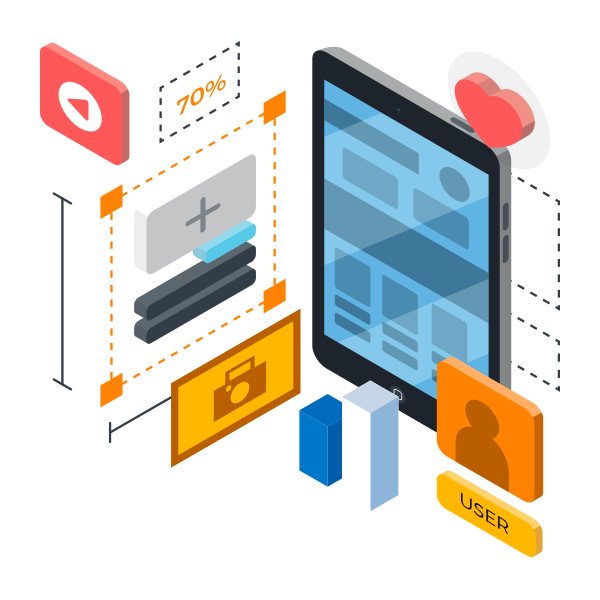 We ensure that our apps are visually appealing while still providing genuine benefits to the user, managing both style and substance to drive customer engagement. 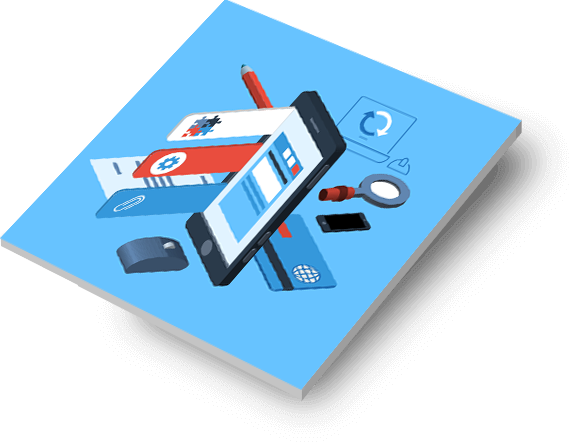 We focus on excellent user interface (UI) and a comprehensive planning process to ensure that your app works as your customers demand. We understand that the more appealing and engaging your app is, the more successful it will be at driving sales and improving customer retention rates, helping you to reach your business goals in the quickest possible time. Our app strategy applies to both existing apps and apps that we create for you. We work with you to learn about your customers and their needs, allowing us to formulate a strategy that helps to increase engagement with your business and deliver solid return on your investment. Our app strategy work is dedicated to ensuring that your app helps to drive sales and financially benefit your business as a result. We identify areas in which your app differs from those of other businesses and leverage this to increase downloads and user engagement. We work with you to present an app that can be directly marketed to your target customer base, helping to improve sales. Your audience will receive a unique experience thanks to our app strategies, helping your business to stand out from the crowd and distinguish yourself from your competitors. We provide regular monitoring of your app’s function and performance, so you can focus your mind on other aspects of your business. We will keep your app up-to-date with the latest technology and innovations to ensure your customers always perceive you as a forward-thinking company. Your app will be faultlessly matched with your existing branding, style, and even colour scheme, helping to promote cohesion across your brand and thus simplifying the recognition from your customers. We’ll help you market your app so you can target new customers and increase your revenue through the increased exposure. Developing an app is a surefire way to increase your online presence, helping your business to connect with existing customers and attract new business to your company. We develop apps for both iOS/MacOS and Android platforms, allowing you to expand your business opportunities into the global marketplace. We ensure a thorough development process that then delivers the app that your company needs to drive your business growth and continuing revenue. We will consult with you in regard to operating systems, ensuring that the app we develop is fully suited to your existing customer base. We research the potential customers you are hoping to attract and produce an app that will appeal directly to your target demographic. Our apps include recognisable navigation that is seamless while still remaining fresh, allowing your business to attract customers back to the app time and again. We fully research and develop a customised menu system to ensure your customers can always find what they need. Data capacity is always considered, ensuring that your customers will never feel the need to delete your app to create more space on their phone. This ensures that our apps are guaranteed longevity and continued usage from your customers. We provide thorough testing and quality checks prior to launch, so you can be 100% confident your app will delight and enthrall your customers without any tech glitches. We can also provide ongoing technical support and updates to your app, freeing you to focus on other pressing areas of your business. Enhance your relationship with your customers before, during, and after the sales process. Improve customer retention due to increased engagement with your brand. Adapting to a more mobile-orientated audience to help capture new customers. Take a permanent place on your customer’s phone, which can function as a form of free advertising. Create interest, gain recognition, and capture potential customers by being featured in the app stores. Allow your business to adapt to an ever-more primarily mobile customer base and spark interest in customers whose habits make them less likely to visit your company website. App development and strategy experts working on your project to ensure delivery of the best possible results. A transparent development process that seeks and welcomes your input, so you can be sure of an app that suits your needs. All modern technology and innovations utilised by our team to guarantee your app is as advanced as it can be. Fast delivery and efficiency throughout the strategy and development process. Excellent communication between you and our development team to guarantee you will be completely satisfied with the finished product. Consistent monitoring and testing both prior to and post-launch so you customers will always experience a fully functional and reliable app.